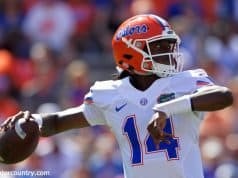 After suffering a sweep on the road at Ole Miss last weekend the Florida Gators needed a win in the worst way. With one out in the ninth inning pinch hitter Kirby McMullen delivered a two RBI double down the right field line to give the Gators a 3-1 they wouldn’t relinquish on the way to a season sweep of the Florida State Seminoles. The win extended a school record-winning streak over FSU to 11 games. It’s also the last time Kevin O’Sullivan and Mike Martin would face off. The loss also leaves Martin with a losing record (76-77) all-time against the Gators. The Gators struggled early on. Florida was held hitless the first go around through the lineup with five groundouts and four strikeouts. 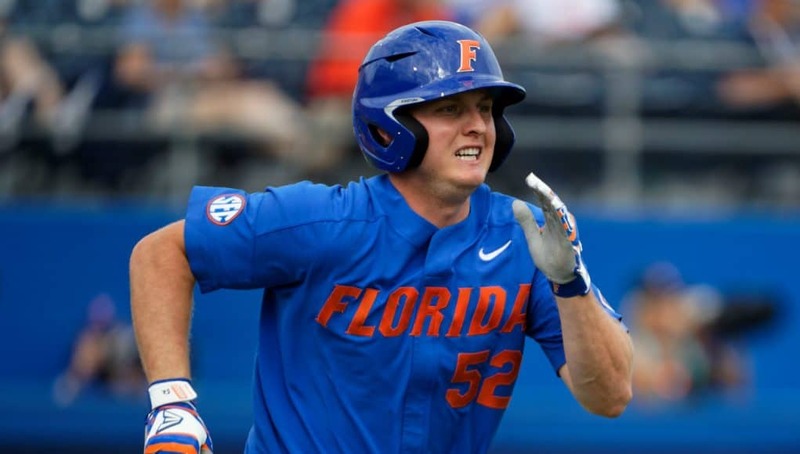 Brady McConnell was the Gators’ first base runner in the fourth inning. McConnell sent a routine fly ball to center field but hustled and when J.C. Flowers muffed the catch McConnell was left standing on second. Jacob Young executed a sacrifice bunt and McConnell opened the scoring up on a passed ball. 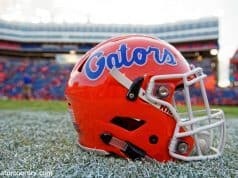 Even though they trailed in the hit column 4-0 the Gators held a 1-0 lead. Florida freshman starter David Leuthje worked himself in and out of trouble throughout the early innings. Leuthje gave up a single in each of the first two innings. He gave up two in the third but earned an inning-ending double play to get out of the jam. He put up another zero in the fourth before Florida State was able to even the score. “As far as the game is concerned, I thought David gave us a nice start and he threw the ball across the plate for the most part,” O’Sullivan said. Nander De Sedas drew a leadoff walk, which chased Leuthje from the game. Fellow freshman Justin Alintoff replaced him but was greeted by a Nelson Matheu single. Alintoff struck out Mike Salvatore but the Noles executed a double steal, which put De Sedas on third and allowed him to score on Alec Sanchez’s groundout. The Gators and Noles would come close to taking leads in the later innings but it wasn’t until the ninth when the Gators were able to break it open. Kendrick Calilao hit a one out double that chased reliever Chase Haney from the game. Clayton Kwiatkowski struck out Austin Langworthy for the second out of the inning and FSU elected to intentionally walk Wil Dalton. O’Sullivan opted to pinch-hit McMullen for Cory Acton. McMullen took a strike and then worked the count into his favor at 2-1. McMullen smacked a line drive down the third base line that plated two. Freshman Ben Specht set the side down in order in the ninth inning to secure the win. 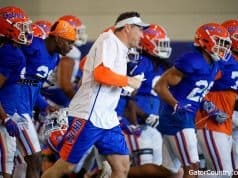 The Gators will host South Carolina this weekend starting on Friday.